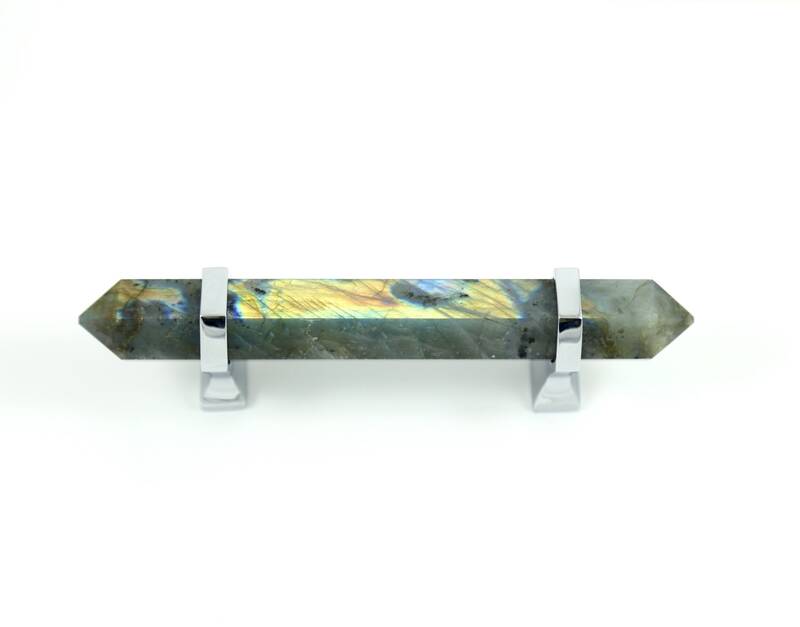 This unique closet handle features gorgeous labradorite wrapped in slim and elegant solid brass hexagons in your custom finish: choose from brass, satin nickel or chrome. 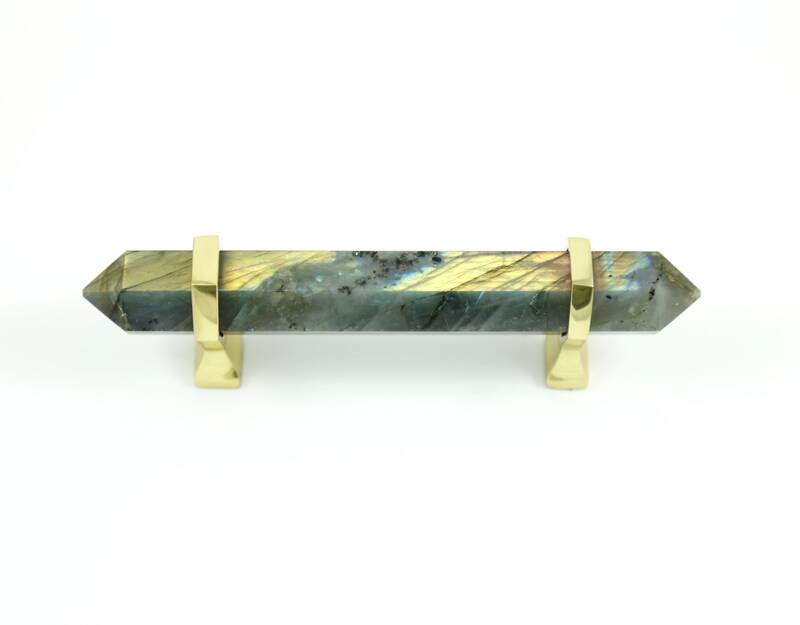 Flash labradorite is all about magic, intuition and unseen realms. In the home, blue labradorite gives an aura of modern fantasy. Each pull is 6 inches long and 3 inches from hole to hole. If you would like custom spacing, send us a message! 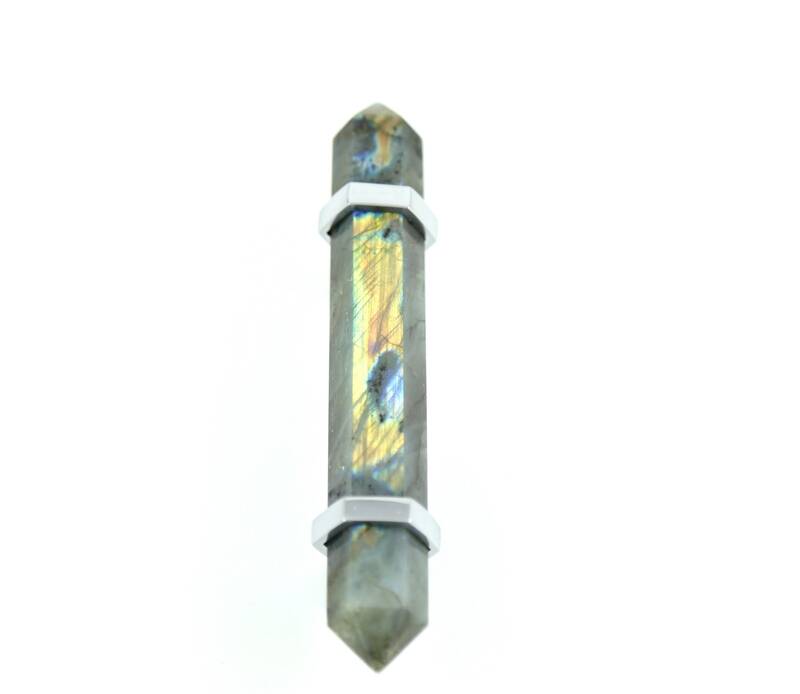 * Please note that the labradorite pulls in the photo are under bright studio lighting. When they are not in the light, they appear gray with undertones of blue and green.